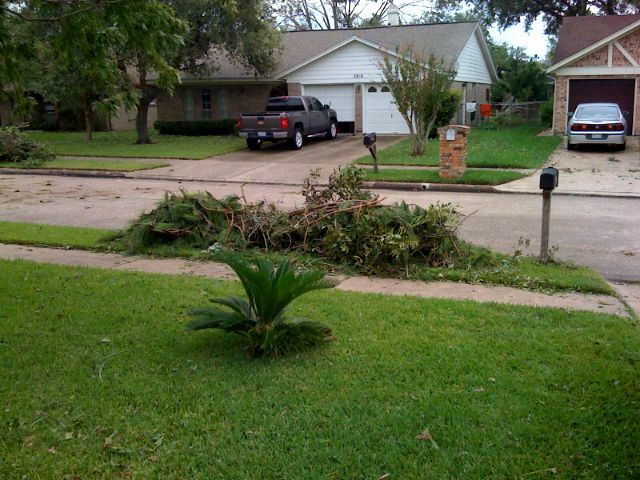 We just got finished cleaning up the yard. We still do not have power. We do have water so I will be able to shower which is good for Terri. We are doing fine. My mother is stuck in Yellowstone because of the flight cancelations. She should be in tomorrow evening. Baylor is closed tomorrow but I am still reporting for duty at ten. Not much else to report except that I’m hot and not in the Paris Hilton way. I don’t even own a pine tree.